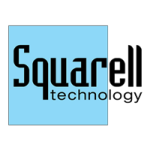 Squarell is a world-leading independent provider of vehicle data solutions. The gathering and processing of vehicle data is only one part of the company’s activities. The benefit lies in the expertise of converting the wide variety of data into information, such as driver behaviour, vehicle performance and predictive maintenance.